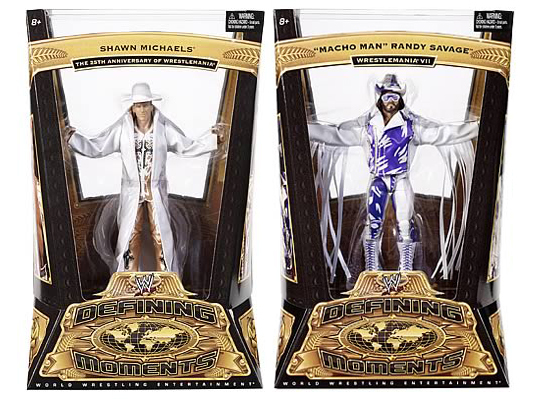 Just as we were praising Toys "R" Us last week for lowering their prices on a number of collector-oriented toys, the company has gone in the opposite direction this week by raising the price tag on Mattel's WWE Defining Moments to $21.99. This two dollar jump puts TRU more in line with the other retailers carrying Mattel's high-end WWE collectible. The company said inventory increased compared with a year ago, when the company held back due to uncertainty about the economy. Mattel, facing rising costs for resin, packaging, labour and shipping, as well as the strengthening Chinese currency, plans to raise prices in the second quarter by mid- to high-single-digit percentages. It is also spending "at a pretty high rate" on its long-running litigation MGA over the Bratz doll property. The second round of a copyright infringement case should last three or four months, Eckert said. For the year, Mattel Inc., based in El Segundo, Calif., said net income rose 30 per cent to $684.9 million, or $1.88 per share, while revenue rose 8 per cent to $5.86 billion. Toy makers can pull in more than a third of their yearly revenue during the holidays. Research firm NPD Group said last week that overall sales during the holiday quarter, which ended in December, rose 3 per cent to $10.2 billion.